Carnoustie is the forth largest town in the Angus area of Scotland. 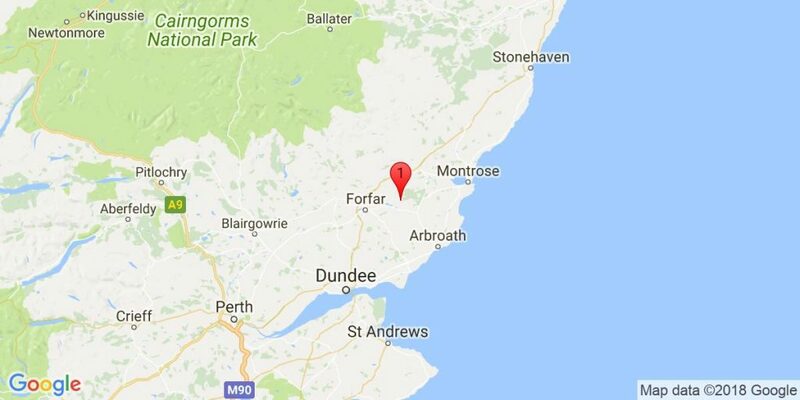 This area services the championship golf courses at Carnoustie, Panmure, Monifieth and Downfield. 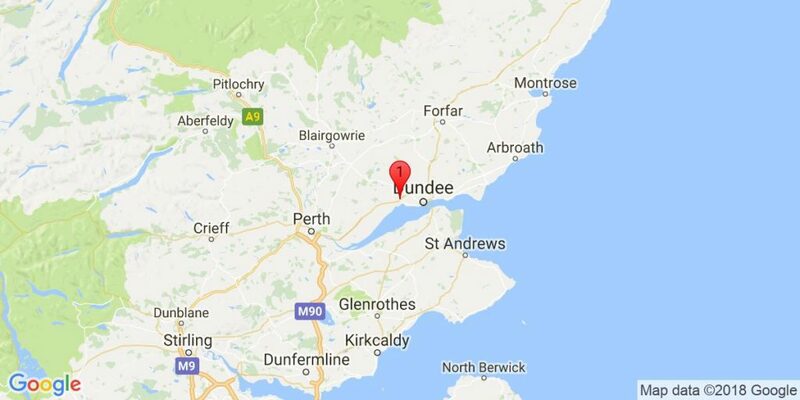 For those wishing to stay in a larger town, then Dundee is only a short twenty minute drive from Carnoustie. 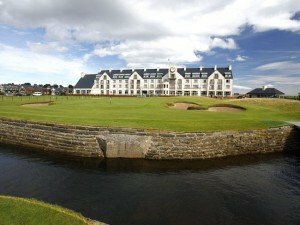 Opened in the spring of 1999, the Carnoustie Golf Course Hotel is fast becoming one of the great golfing hotels of the world. Situated on the seafront, overlooking the 1st tee and 18th green of the world-famous championship golf course, this modern hotel blends perfectly with its old-world surroundings, while the stunning backdrop and stylish architecture combine to create the perfect golfing haven. 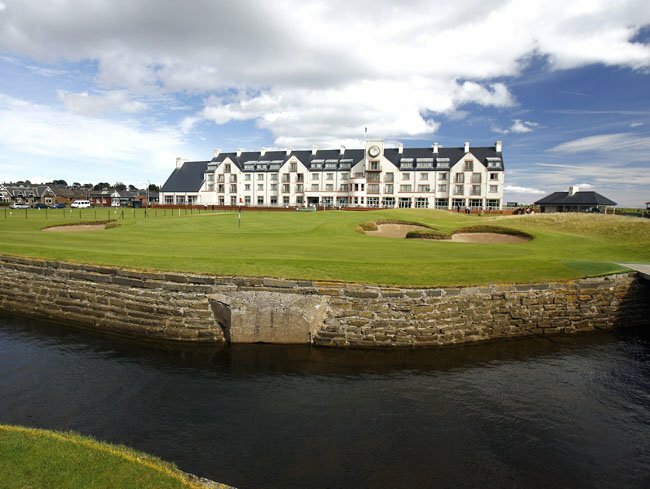 Guestrooms at the Carnoustie Golf Course Hotel range from opulent suites to fine superior and regular rooms. Boasting locally crafted furnishings, each of the 85 en-suite bedrooms, including 6 luxury suites and 4 magnificent presidential suites offer all the facilities one expects from a world-class hotel while all rooms provide superb views over either Carnoustie or the sea. 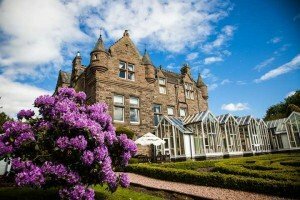 The attractive Dalhousie Restaurant at the hotel, which overlooks the course serves the finest Scottish cuisine with a Mediterranean flair, while Calder’s Bar offers a more casual setting in which to enjoy your meal. After 18 holes of quintessential golf, the health spa at the hotel is a haven of recreation and relaxation. Guests can avail of the large swimming pool, sauna, steam-room and whirlpool, while the fully equipped gymnasium caters for the more energetic. For the non-golfer or golfer on a hard-earned day off, famous castles, superb scenery and centuries old distilleries lie on the doorstep. Set in its own stunning grounds, the 4-star DoubleTree by Hilton Dundee features an indoor swimming pool, a gym and a conservatory-style restaurant. Accessible for those traveling to and from Aberdeen, it offers free parking and free Wi-Fi in public areas. Following a multi-million-pound refurbishment, the impressive leisure facilities include a steam room and a sauna. The Garden Room Restaurant overlooks the gardens, and offers fine cuisine made from local, seasonal produce. There is a varied steak menu and a wide selection of cheeses. 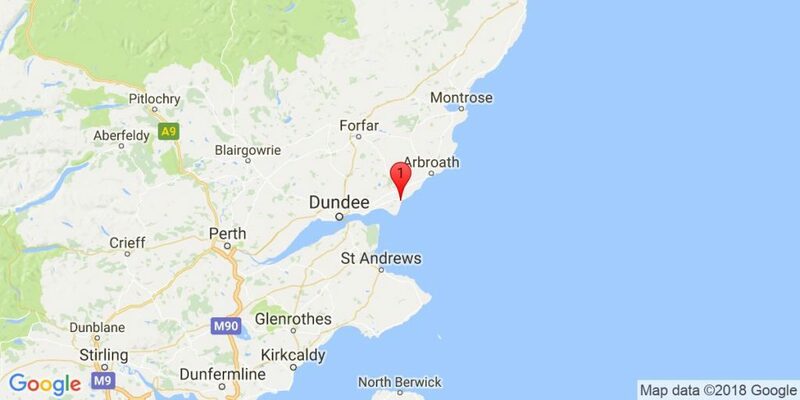 Dundee town centre is within a 10-minute drive. On the outskirts of Dundee, surrounded by beautiful countryside, DoubleTree by Hilton Dundee is just off the A90. Turin Castle is available for exclusive use only. A recently renovated 17th Century mansion set in the beautiful rolling Angus Glens just 20 minutes north of Dundee. No more than an hour and a half drive from 118 golf courses including St. Andrews, Trump International, Gleneagles and Carnoustie. In the perfect location for golf in the area and the Highland’s shooting and fishing estates. 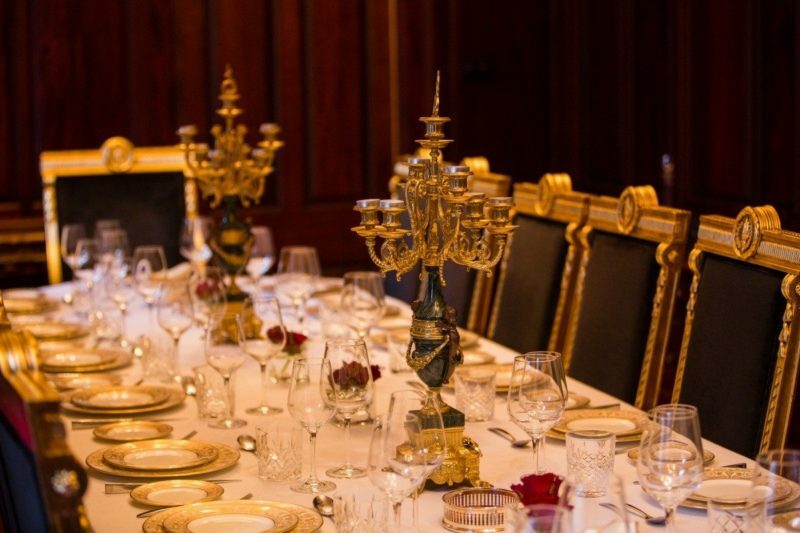 The Castle, which was built in 1659 is steeped in history and is available for exclusive use. 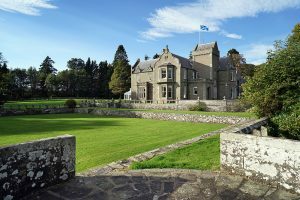 The Castle sits in twenty acres of sweeping lawns with majestic views of the rolling Scottish countryside. 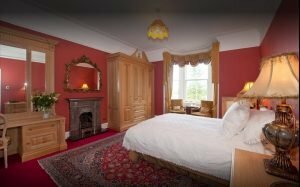 The ten beautifully appointed bedrooms have views of the gardens and beyond to the Angus Glens. Sleeping up to twenty guests, the house is an elegant mix of traditional and modern décor whilst remaining close to its Scottish roots. 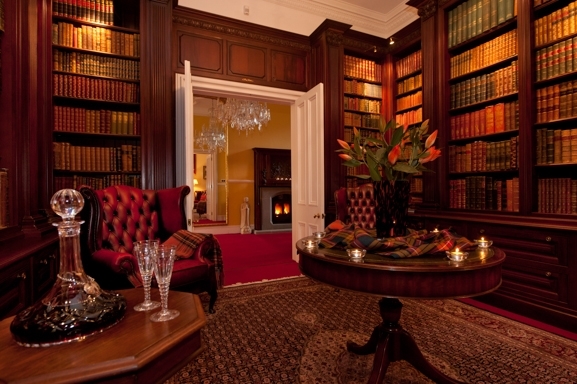 The first floor offers eight large double bedrooms, including three four-poster suites. There are also six bathrooms. The second floor is perfect for those who prefer a little more privacy and has two bedrooms – one twin, the other double family suite with space for extra beds. There is an additional single bedroom on the ground floor, which is wheelchair friendly. 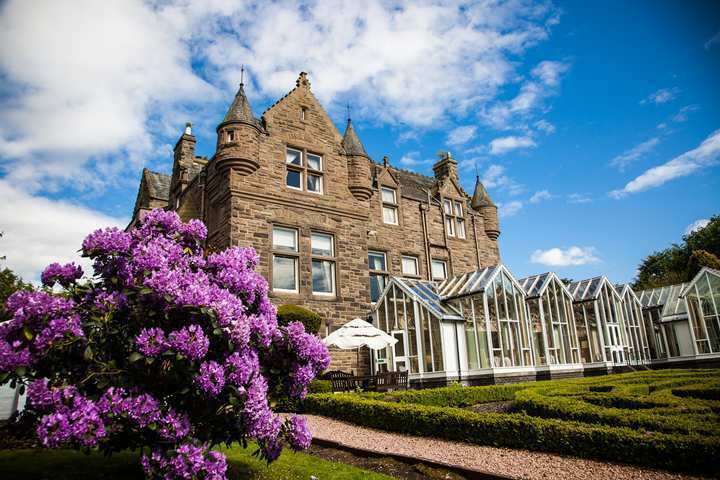 The Castle is within easy access of Championship golf courses such as Carnoustie (20 mins), St Andrews – the home of the British Open 2015 (56 mins), Gleneagles (70 mins) and Trump International (75 mins). Seasonal fishing and shooting are also available on request.